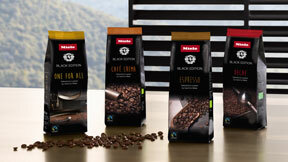 With Miele everybody can be a perfect barista. Only when the technology in our high-quality coffee machines match and interact precisely and perfectly with the exquisite quality of the coffee beans can you achieve and enjoy an overwhelming cup of coffee. Space-saving combi units for the kitchen, but without entertaining any compromises in terms of convenience or performance. 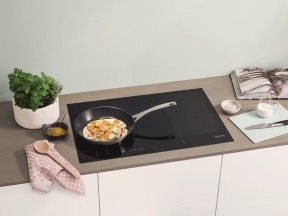 Now Miele is augmenting its line-up of multi-talented products with the addition of an induction hob with an integrated extractor. The elegant and high-performance appliance opens up whole new approaches to design in modern kitchens. Excellent cleaning results and extremely convenient and hygienic emptying of the dust container – these are the more prominent benefits of the Blizzard CX1. 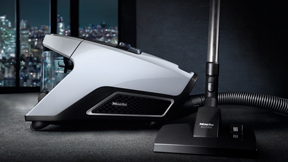 On top of all this, the first bagless vacuum cleaner from the Miele company protects the user against the exposure to noise levels which are so typical of this product category. Trust Miele ArtLine built-in appliances with Touch2Open and SoftOpen technology. 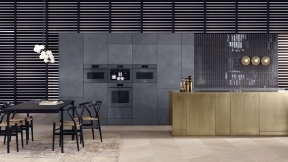 Purist, linear and entirely handleless, Miele ArtLine is the first design series of innovative built-in kitchen appliances, which blends in seamlessly with flush furniture fronts. The clear design language is capable of harmoniously merging cooking, eating and living areas. Sous-vide cooking is no longer exclusive to professional kitchens. Miele is proud to introduce the new Vacuum sealing drawer in combination with Miele steam ovens to attain quality dishes of restaurant standards in your home. Miele offers even greater pleasure, choice and convenience with the new CM7500 countertop coffee machine. The Miele CM7500 is programmed to prepare up to 20 different beverages, including optimal temperatures for various types of tea. With the aim of improving user convenience and a completely transparent experience, a new automatic descaling function has also been introduced. The new G 6000 EcoFlex dishwashers require less than an hour for an A-rated wash cycle, as confirmed by Germany's TÜV material testers – a feat accomplished only by Miele. In the Eco programme, the dishwashers even surpass the required value for a top-class A+++ energy-efficient programme by up to 20%. Thanks to its newly designed baskets, flexibility and loading convenience are further improved. No more burnt food! 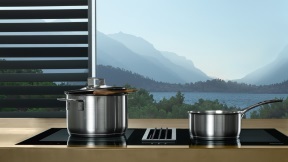 The new Miele Induction hobs make cooking much easier. The intelligent temperature sensor technology (TempControl) ensures a precise heat output. The pan remains at a consistent temperature, nothing can go wrong.